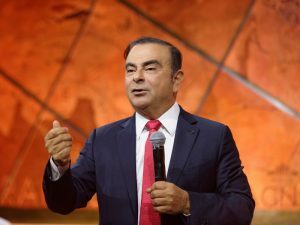 The alliance between Renault, Nissan and Mitsubishi has set out a five-year plan which will launch long-range fully electric vehicles across all main segments, based on shared technology. Aiming to be the world’s biggest provider of mass-market, affordable electric vehicles, the companies have announced plans to develop shared, scalable platforms by the end of the decade, powered by a new ‘family’ of motors and batteries. The product roll-out will be quick; 12 fully-electric vehicles by 2022, 70% of which will be on the new platforms, while battery technology will enable 400-mile ranges, recharging at a rate of almost 145 miles per 15 minutes plugged in. That’s three times faster than today’s typical charging speed. Ongoing development of EV technology is expected to yield a 30% increase in battery cost by that point, compared to 2016, while better packaging will enable them to occupy less cabin space and offer more design freedom. C and D-segment Renault and Nissan vehicles will also be offered with plug-in hybrid technology, sourced from Mitsubishi. The Outlander PHEV had recorded 80,768 cumulative sales globally at the end of 2016, and has been Europe’s biggest-selling plug-in hybrid for its first four years in the region. Carlos Ghosn, chairman and chief executive officer of the Alliance, said: “By the end of our strategic plan Alliance 2022, we aim to double our annual synergies to €10 billion. To achieve this target, on one side Renault, Nissan and Mitsubishi Motors will accelerate collaboration on common platforms, powertrains and next-generation electric, autonomous and connected technologies. From the other side, synergies will be enhanced by our growing scale.